Welcome to the Forthcoming Events page for St. Mary’s Church, Hobs Moat, where you will find details of all forthcoming events and attractions. 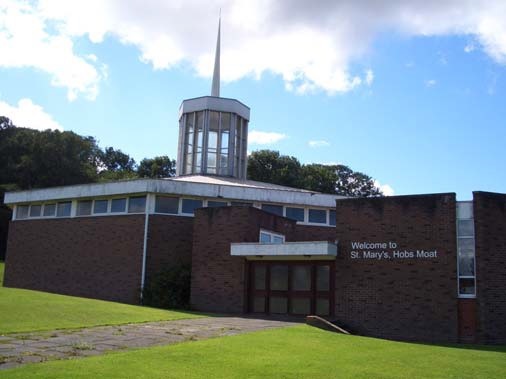 All events at St. Mary’s, Hobs Moat are open to the whole community, and not just members of the church, so feel free to pop along and say hello. For any further information about one of our events, please send us a message via our Contact form. 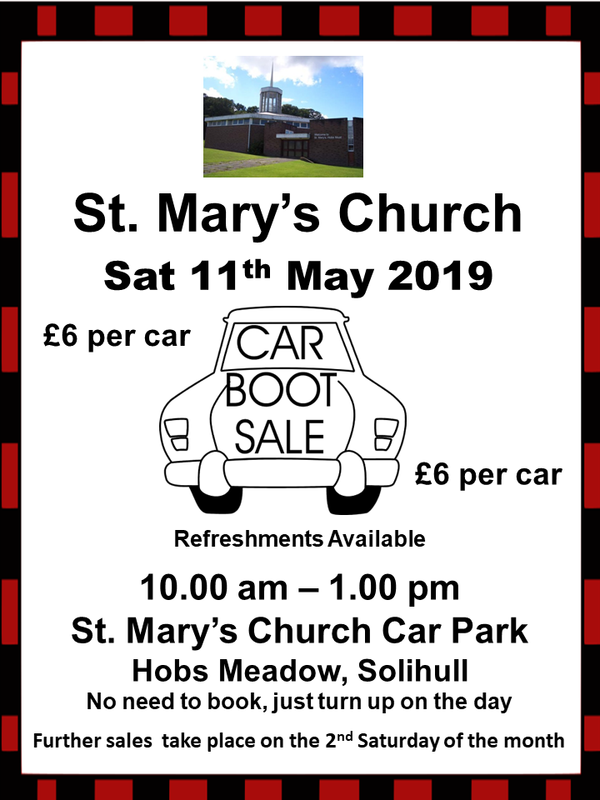 Our next Car Boot Sale of 2019 takes place on Saturday 11th May between 10.00 am - 1.00 pm. So this is the perfect chance to make yourself some money after you have Spring cleaned the house. Please note, that we have moved the dates of future sales to the 2nd Saturday of the month this year. 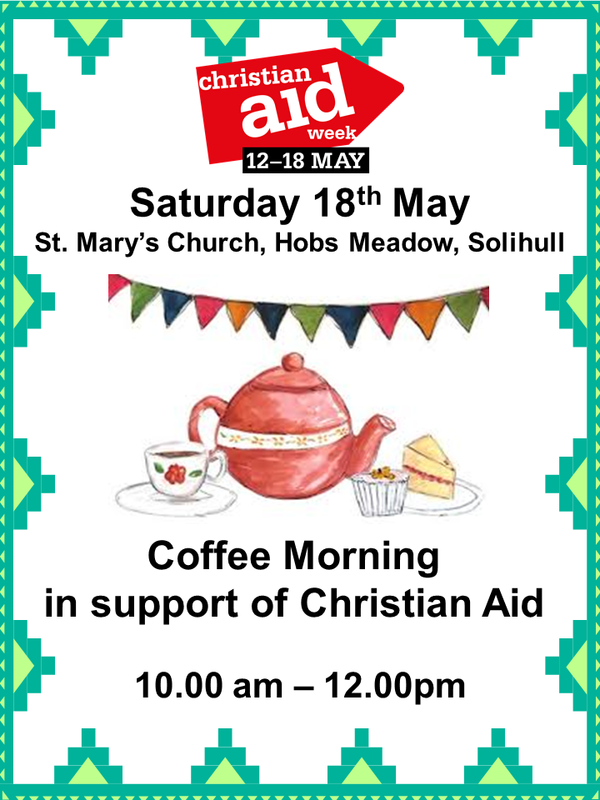 Come along and join us at St. Mary’s for our Coffee Morning in support of Christian Aid on Saturday 18th May between 10.00 am – 12.00 pm. 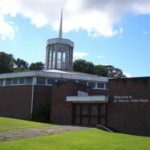 As well as the chance to have a cuppa and a chat with friends, there will also be the opportunity to buy cakes, jams, books and bric-a-brac, and also give you the chance to have a look around our lovely church. We look forward to seeing you. 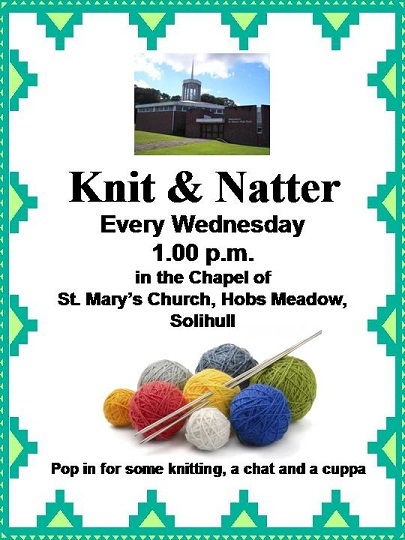 Our merry band of knitters meet every Wednesday in the chapel of St. Mary's Church, Hobs Moat between 1.00 - 3.00 pm. Come along and join us to do some knitting and have a chat and a cuppa.